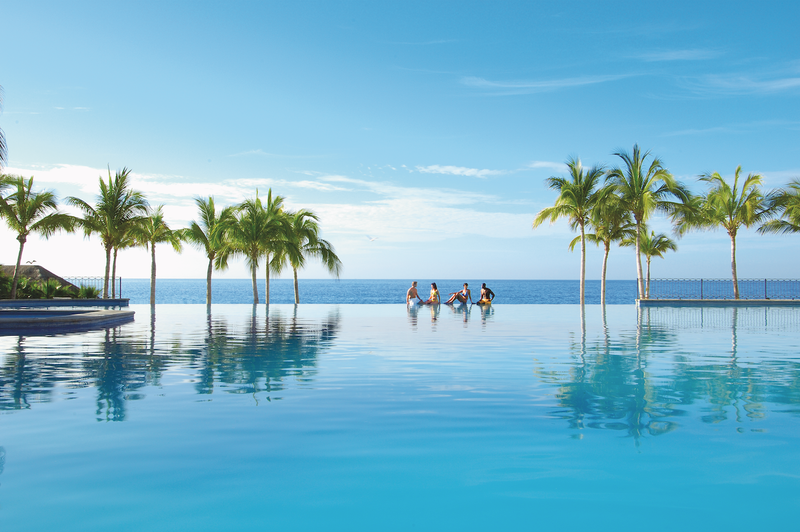 On the edge of a private beach along the Baja Peninsula, Dreams Los Cabos resort is surrounded by extravagant jungles. 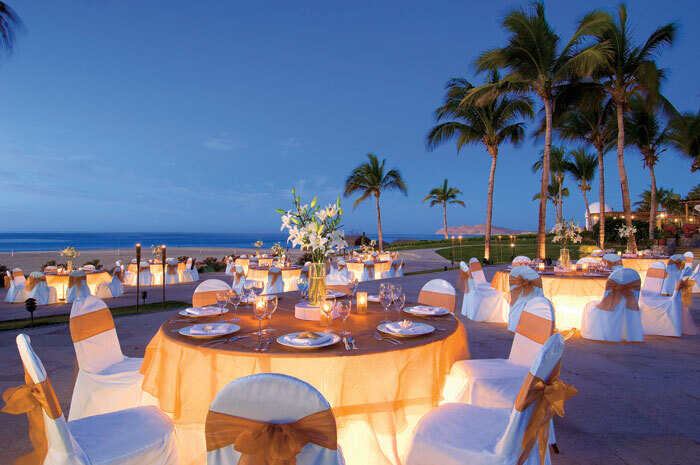 A Dreams Los Cabos wedding puts you right next to the Sea of Cortez, providing a breathtaking backdrop for your special day. 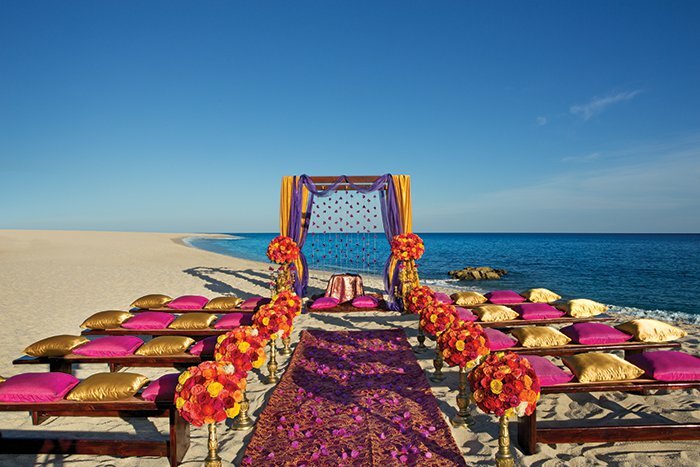 With views of the ocean and the gardens in every room, you will feel as though you are living a fantasy for the duration of your beautiful destination wedding. Snuggle up and get cozy with your loved ones at this resort, as it offers big screen movies on the beach at night. Although the resort is very family-friendly, it does have an incredible nightlife for adults as well! For animal lovers, the resort offers opportunities for seasonal whale watching. Since we are one of AM Resorts preferred partners we can offer free inclusions for couples that include romantic dinners, spa treatments, breakfast in bed and more! Contact an agent for further information. Rooms range from $170 – $270 per person per night. Every room includes wifi and separate living rooms and bedrooms. The family suite includes a separate dining room, two bathrooms, and an oversized balcony as well. Guests looking for a homey feeling during their stay will enjoy the Preferred Club Presidential Suite, which includes a courtyard entrance, separate rooms, and is oceanfront. Children ages 2 and younger stay free, and kids 12 and younger can stay free during certain times of the year. There are 230 total guest rooms, all with views of the ocean. Two-bedroom suites and connected suites are available, and certain junior suite rooms are handicap accessible upon request. The property is smaller and more intimate, will taller buildings standing 5 stories high. 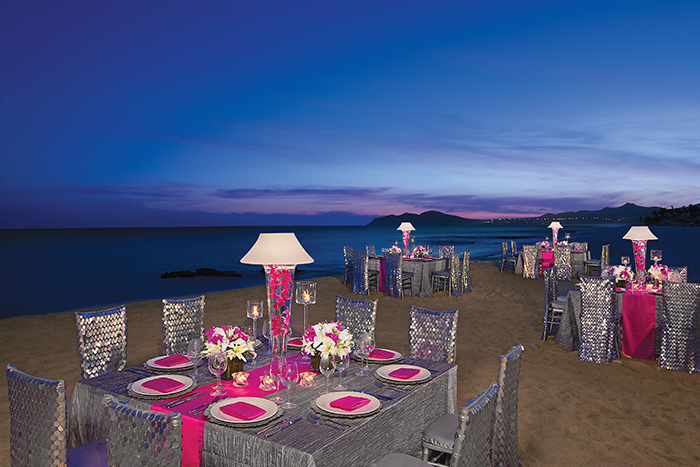 Beach – 200 guests max, Gazebo – 80 guests max. All rooms allow up to 2 adults and 2 children or 3 adults max. 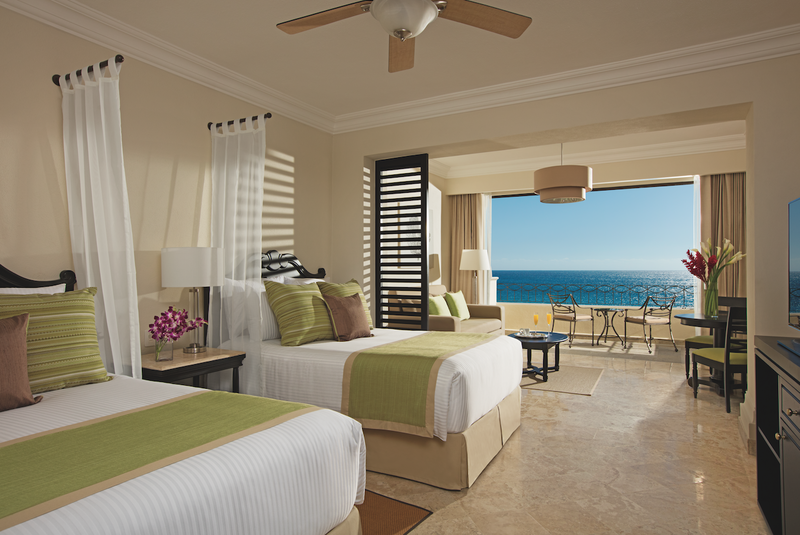 The two-bedroom suites and presidential suite can hold up to 6 guests with 3 adults and 3 children or 5 adults max. Children are ages 12 and younger. The resort will host no more than 2 weddings per day Monday thru Sunday. Ceremonies will be held between 4pm and 6pm. High-season months typically include January, February, March, April, may, June, July, November, and December. It is always encouraged to have your guests book their stay 6 months in advance since the hotel can sell out during these months. 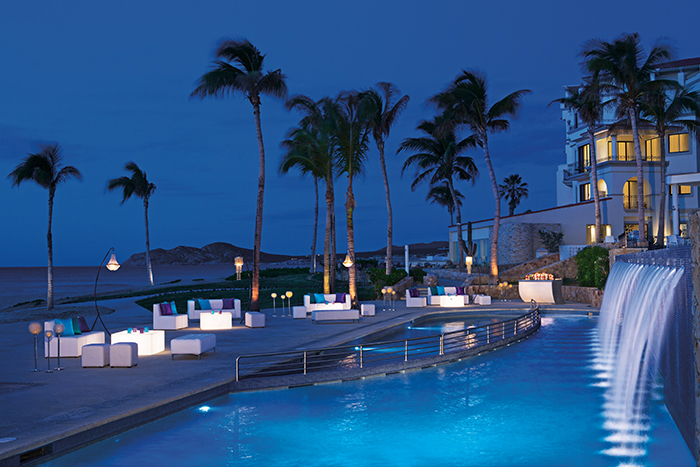 Dreams Los Cabos is located 15 miles from the SJD airport. 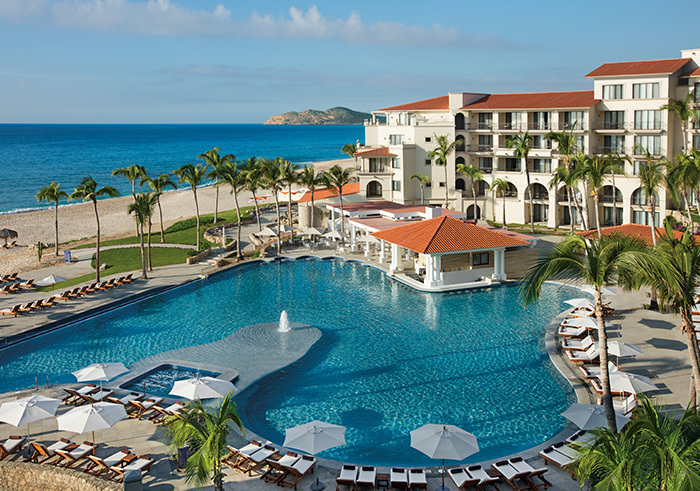 The resort is about 15 minutes outside of downtown Cabo San Lucas and San Jose del Cabo. 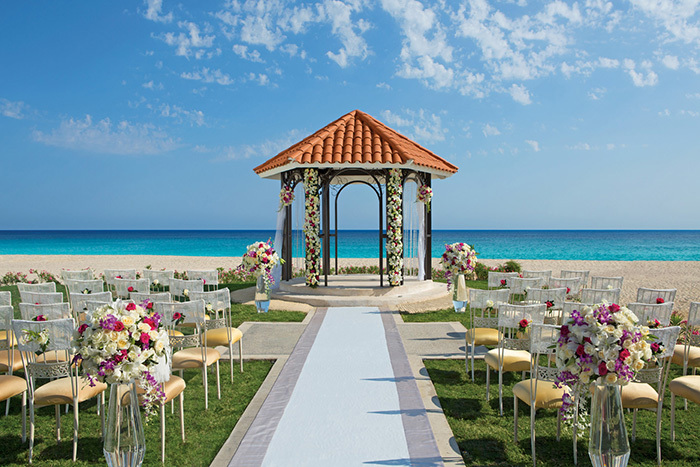 A: We have a beautiful ocean view location, that combined with our great service and brand quality, makes it a perfect spot for a destination wedding. A: Meeting the bride at her arrival and having our meeting for details, as we have usually been working for over a year for her special day, and it is great to see them in person. A: Great ocean view, big beach area, friendly service, restricted adults areas in a family resort.